Let's face facts: Your business isn't on the Net if it isn't highly indexed by Google because Google is the Internet. So when the world's most popular search engine recently announced an update to its search algorithm, many of those businesses that use low-quality content to drive search engine traffic to their sites found themselves at the bottom of the heap. Under the new regime, publishing copied content, spun articles, fabrications and keyword stuffed content actually devalue the ranking of these so-called "content farms." However, if yours is an altruistic enterprise with a web site or blog that is in the habit of publishing unique, high-quality, relevant and useful content, you're likely to be rewarded with an improved search ranking. If your site helps users find content that is relevant to their searches, Google's updated algorithm -- dubbed Farmer/Panda -- helps you stay in Google's good graces. Like supermodel Heidi Klum is fond of saying on Bravo's Project Runway: "One day you're in, and the next day you're out." How devastating was this smackdown to content farms? "A whole lot of low-quality domains lost significant visibility" in the U.S. Google search engine results pages, according to an analysis by independent SEO software company Sistrix. In a sense, Google has drawn a significant line in the sand and expects all website owners to add, maintain and nourish unique content on their pages. If you're running a business site, this development is an opportunity to provide potential visitors with useful information as well as establish your startup or business as an authority on your product or service. Of course, these changes instituted by Google have prompted complaints from the owners of web sites that were downgraded in the process, including charges that Google has the capability of manipulating the rankings. Speaking at Search Marketing Expo – West in San Jose, Calif., over the weekend, Matt Cutts, who is Google's principal engineer in the company's Search Quality Group, says such is not the case. "There are many, many algorithms -- maybe the majority of the algorithms -- that don't have any exception logs," he said, adding that Panda has no way of making exceptions manually. "You try and do as much as you can algorithmically," Cutts told conference-goers. But he did note that problem sites need to be stopped. "It's the same thing as spam," he says, adding: You try to automatically detect it. But the stuff you can't catch must be removed manually because that's abuse, says Cutts. And with 85 percent of enterprise marketers using or planning to use SEO within the next year, according to Forrester Research, it becomes mandatory for businesses on the Internet to eliminate their black hat SEO tactics. Instead, they might put on a "white hat" and start acting like Gene Autry. If you think your site has been negatively affected by the changes at Google, share your concerns online at the Google Webmaster Central Help Forum. 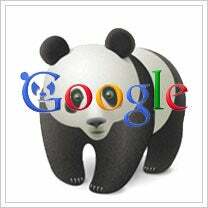 Let us know, What you think of Google's Panda algorithm?